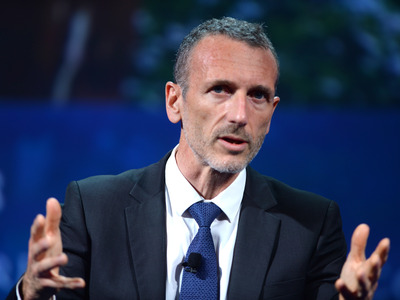 Riccardo Savi/Getty ImagesDanone CEO Emmanuel Faber. French company Danone is one of the world’s largest food producers (best known in the United States for its Dannon yogurt brand), with a market cap of around $US47 billion. Since 2006, nonprofit organisation B-Lab has been granting B-Corp certification, which qualifies a company to apply for the legally binding “benefit corporation” designation. So far, benefit corporations are fully recognised by 33 American states and Washington, DC, as well as Italy and Colombia, with movements in several other countries, like Canada and Australia. B-Lab grants B-Corp certification to any company meeting and sustaining its requirements, regardless of state or country. He said that the certification has received tremendous employee support and won over sceptical investors. He said that Danone’s plan helped it renegotiate a 2-billion-euro syndicated banking loan with 12 major banks, at a lower cost. “So this is basically recognising the fact the credit rating of Danone is better as a B-Corp than not being a B-Corp,” he said.